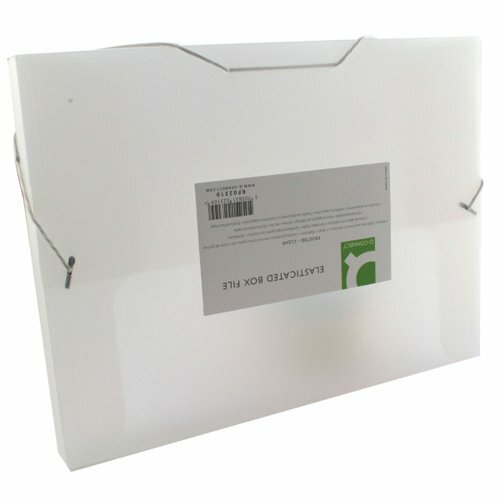 This Q-Connect Box File is hardwearing and stylish with an elasticated closure to keep contents secure. 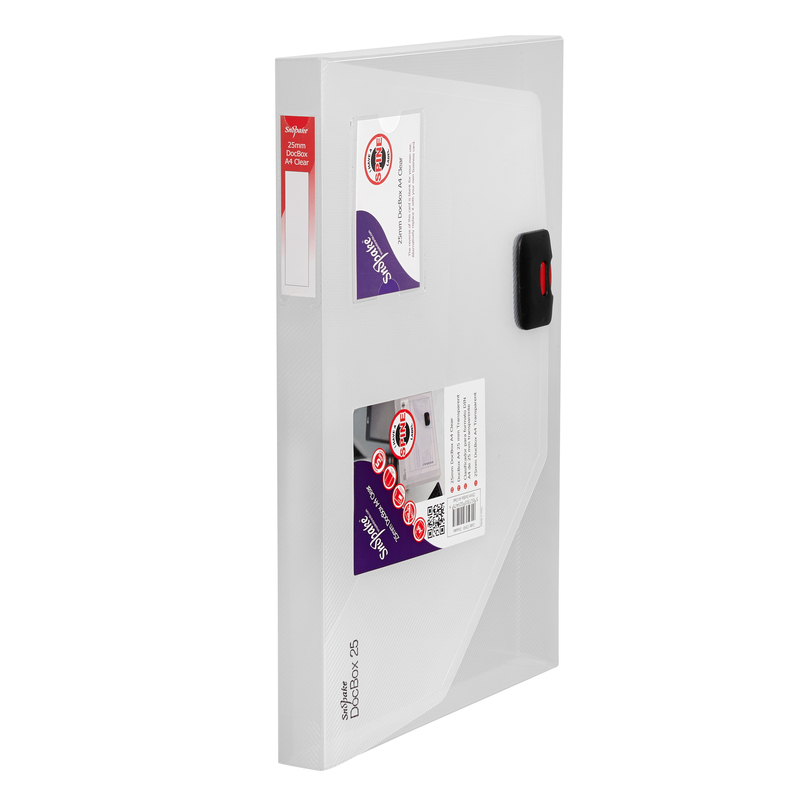 Suitable for both A4 and foolscap documents, this clear file allows you to easily identify contents and can be used to implement a colour-coordinated filing sytem in your office. 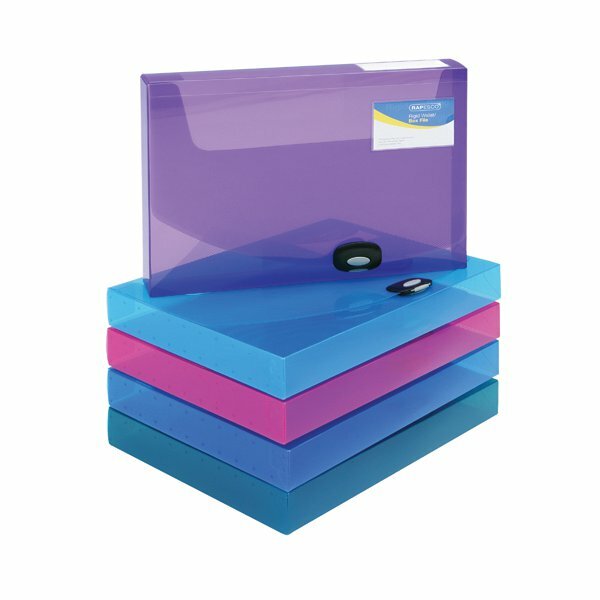 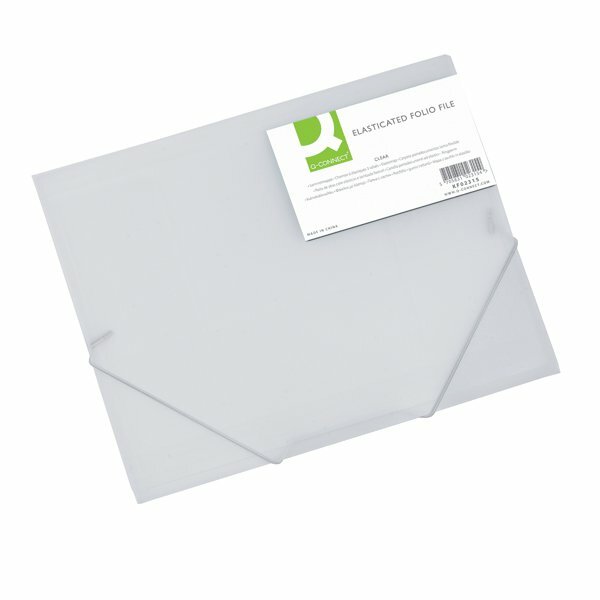 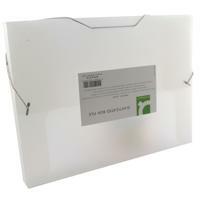 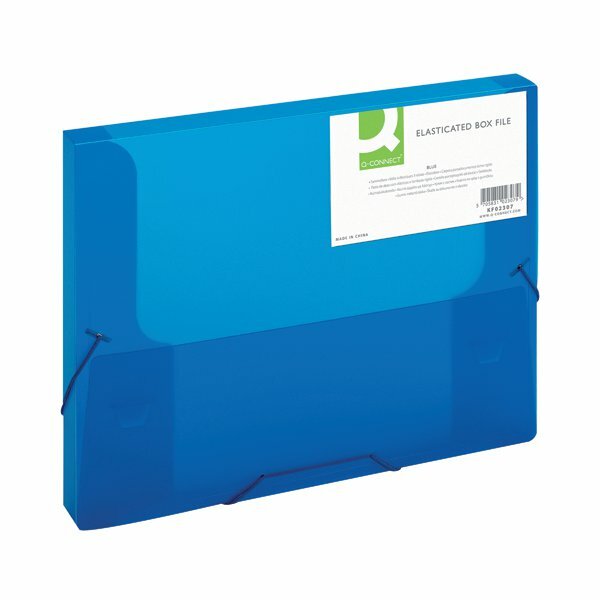 This pack contains 1 clear elasticated 25mm folder.